Timeshift v18.1 is now available. Messages were added below device list to answer some common questions that users have when using the application. 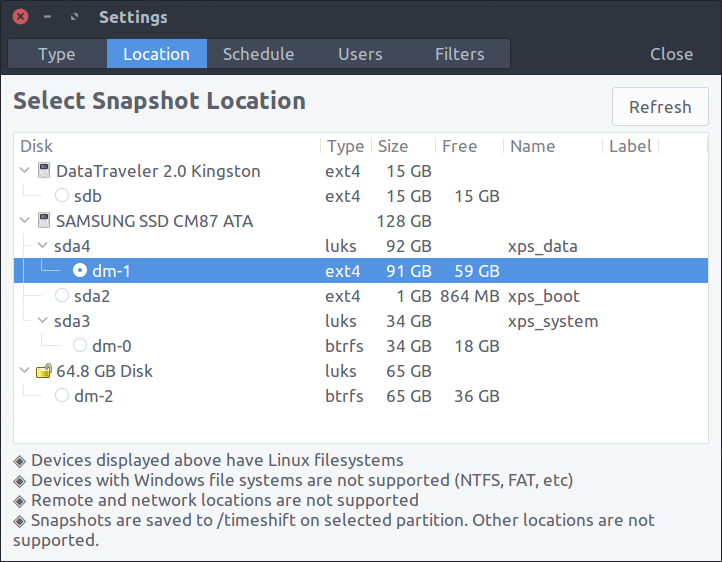 Partition-less disks formatted with Linux file systems will also be displayed in the list. Messages were added to answer some common questions that users have when using the application. The number of snapshots to keep for each level will be enabled even if the snapshot level is not selected. 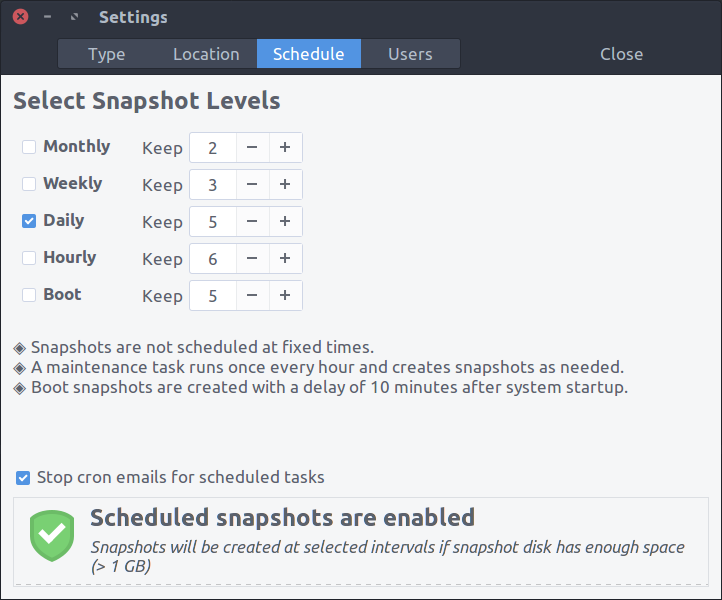 Un-selecting the levels only disables automatic snapshots for that level. The count is still relevant since users can create snapshots manually for each level. Exclude All is the default choice for all users unless changed by user. Include Hidden only includes hidden files and folders in home. 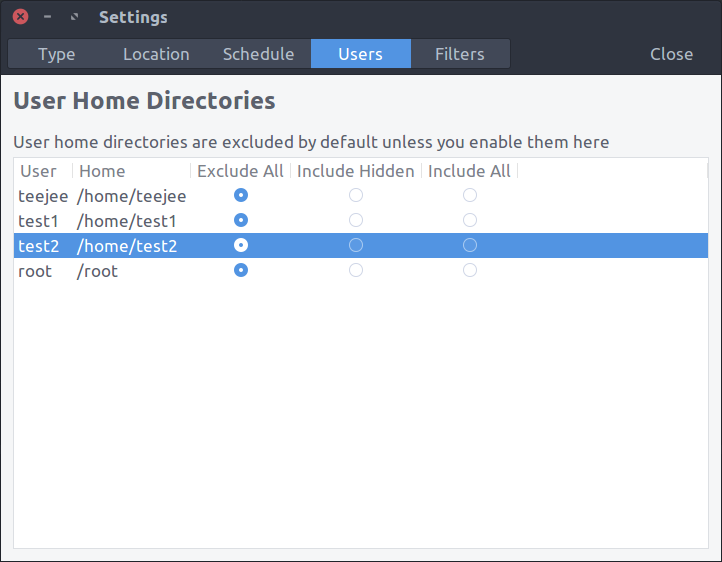 This option is not available if user’s home directory is encrypted. Selecting between these 3 options adds entries to the Filters list in Settings window. 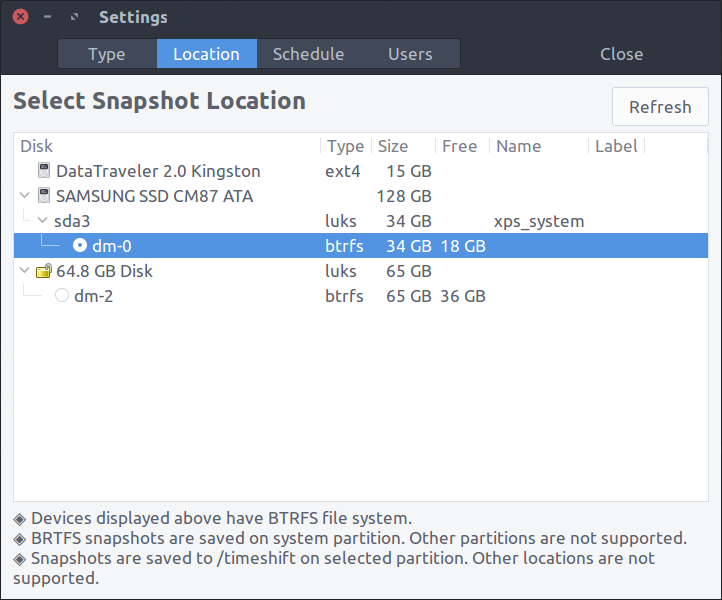 /var/lib/schroot will be excluded by default to prevent an issue with the snapshot never completing. Added a check for “notify-send” before sending a desktop notification. “notify-send” is not available on some systems. About window was updated to include the GPL license text. Web links will open web browser as non-admin user. Installers are available on the Releases page for older Ubuntu releases which have reached end-of-life. Timeshift is a non-commercial application. I work on it during my free time based on my requirements and interest. If you wish to support this project, you can make a donation for $10 or more via PayPal. Your contributions will help keep the project alive and support future development. PayPal ~ If you find this application useful and wish to say thanks, you can buy me a coffee by making a donation with PayPal. Patreon ~ You can also sign up as a sponsor on Patreon.com. As a patron you will get access to beta releases of new applications that I’m working on. You will also get news and updates about new features that are not published elsewhere.